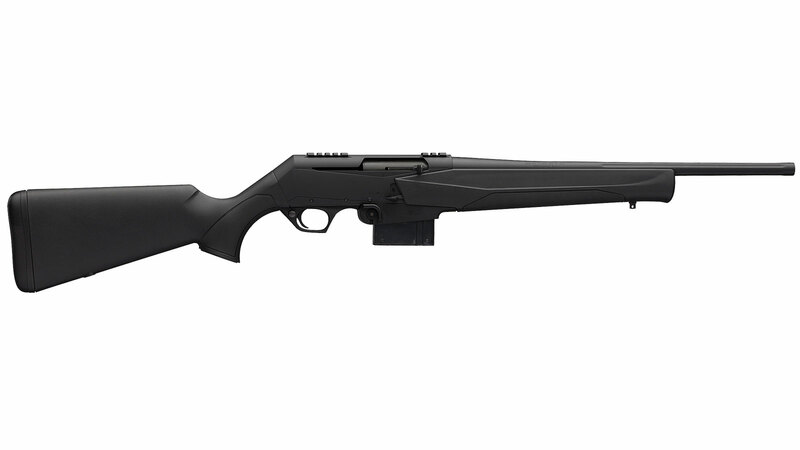 Browning 031054218 BAR MK3 DBM Semi-Automatic 308 Winchester|7.62 NATO 18 10+1 Synthetic Black Stk Blued in. The BAR MK 3 DBM is accurate reliable and already stands out from the competition. The gas piston design mitigates shooterperceived recoil and reduces excessive carbon residue that other modern gasimpingement designs vent into the moving parts of the action. The hammerforged fluted barrel has a matte blued finish composite trigger guard and floorplate and a crossbolt safety. The alloy receiver is drilled and tapped for scope mounts. The stock is constructed of a composite material and has a matte black finish and overmolded gripping panels. This model features 10round detachable box magazine with a magazine well QD swivel cups and a 1913 Picatinny rail scope base.